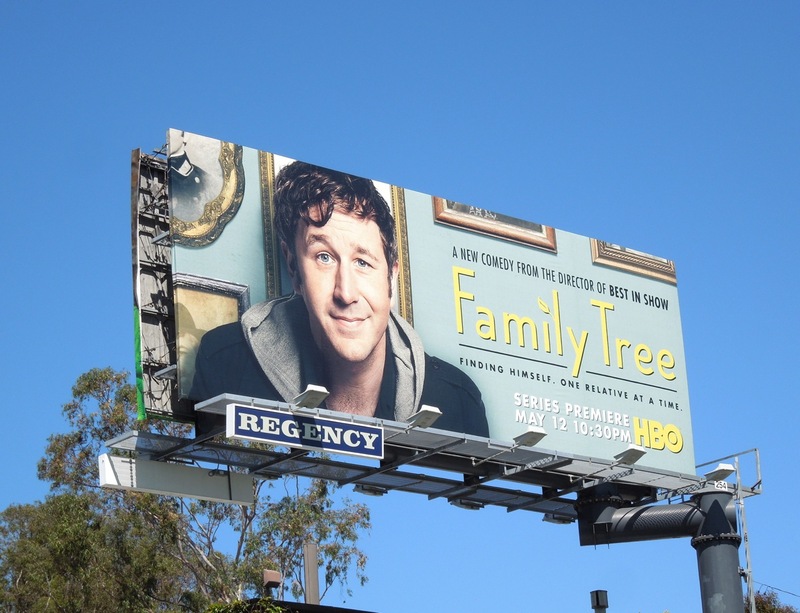 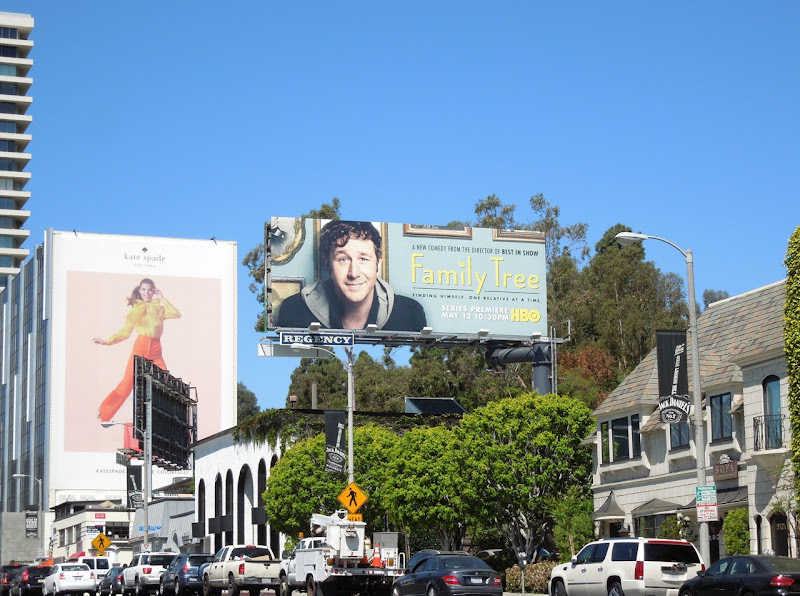 Chris O'Dowd looks charming in these billboards for his new mockumentary series about a man exploring his Family Tree. 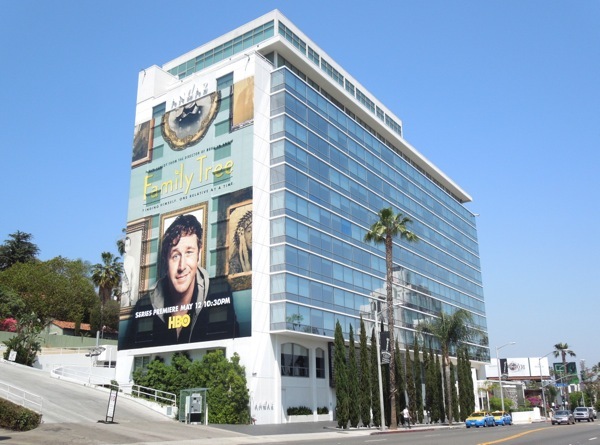 The Sapphires and Bridesmaids star plays 30-year-old jobless 'Tom Chadwick' who was recently dumped by his girlfriend and is searching for his own sense of identity. 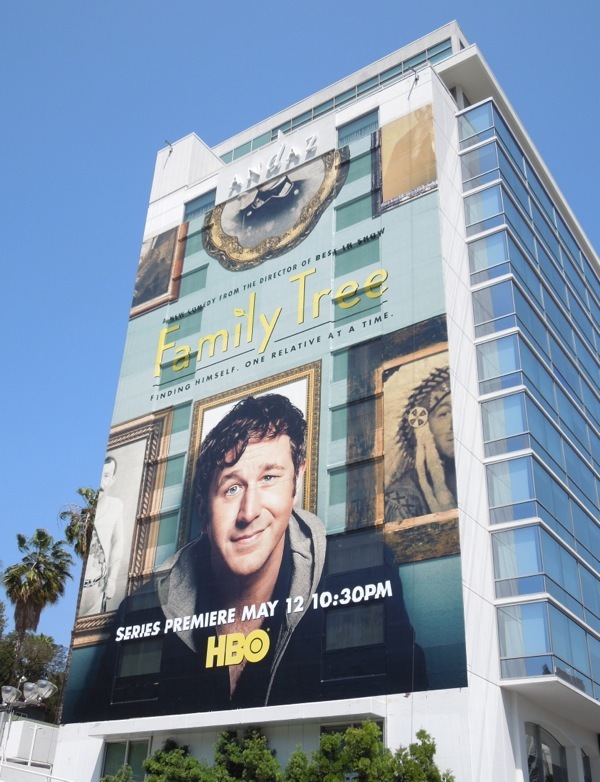 Inheriting a mysterious box of belongings from a long lost aunt, he begins to discover a heritage full of unusual stories and characters, plus a sense of who he is, one relative at a time. It sounds like an interesting premise for a comedy series and these fun billboards certainly convey the family theme with those framed family portraits. 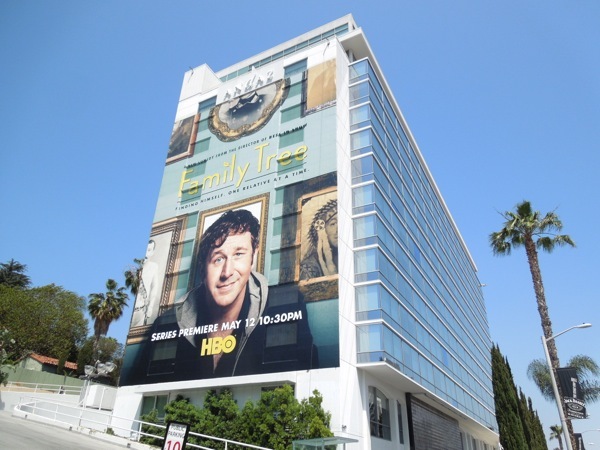 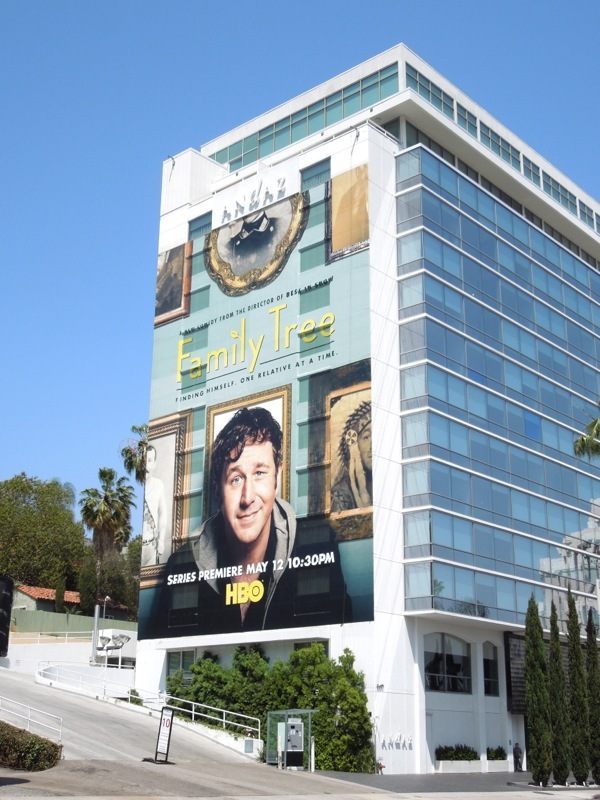 The eye-catching giant-sized billboard was spotted on the side of West Hollywood's Andaz Hotel on April 29, whilst the landscape creative was snapped further west along Sunset Boulevard on April 18, 2013. 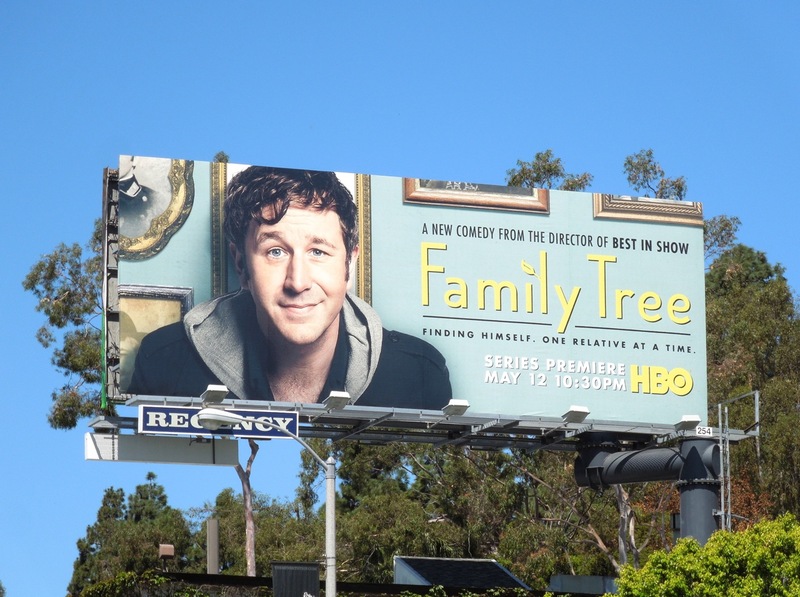 Let's hope that comedy is in the genes of this Family Tree.